Twitter recently made headlines by allowing all its users to request a verified account on the platform. 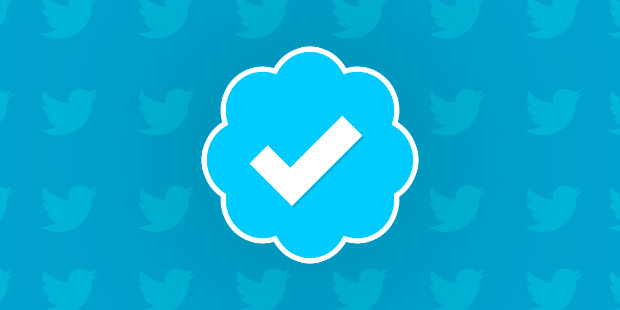 A verified account is easily identified by a blue checkmark, which means it has been recognized as authentic. Prior to this announcement, verification on Twitter was limited to very public figures, companies, brands, and a few exclusive others. Verified accounts help prevent fraud and protect the integrity of individuals, brands, and corporations. We’ve all heard of imposters posing as famous figures on social media or struggled to find a celebrity’s real account amongst a multitude of lookalike and fan accounts. Twitter opened the verification process in hopes of making it easier for users to find creators, influencers, and high-quality accounts on the platform. We hope this will help authors to connect with broader audiences on Twitter. Applying for account verification is a simple process. When you submit a request to verify an account, Twitter will ask for additional information that can help them evaluate the request. You will be asked to share why Twitter should verify your account, and show your impact in your field. However, please note that we cannot guarantee that verification will be granted. 1. Log into the account you want verified (you must be logged in to apply). 3. Open your Twitter account settings and make sure you have a verified phone number, a confirmed email address, a bio, a profile photo, a header photo, a website, and a birthday (required for personal accounts only). Your tweets must also be set to public in your privacy settings.